Effluent Treatment Plant. 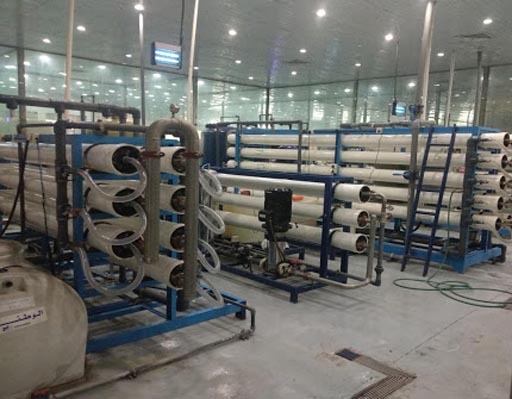 Effluent Treatment Plant or ETP is one type of waste water treatment method which is particularly designed to purify industrial waste water for its reuse and it's aim is to release safe water to environment from the harmful effect caused by the effluent. We provide Effluent and oily treatment to all industries like Hotels, Hospitals, Chemical factory, textile and food factory, ships, marine industries etc. Whereas a Sewage treatment is the process of removing contaminants from municipal wastewater, containing mainly household sewage plus some industrial wastewater. Physical, chemical, and biological processes are used to remove contaminants and produce treated wastewater that is safe enough for release into the environment. 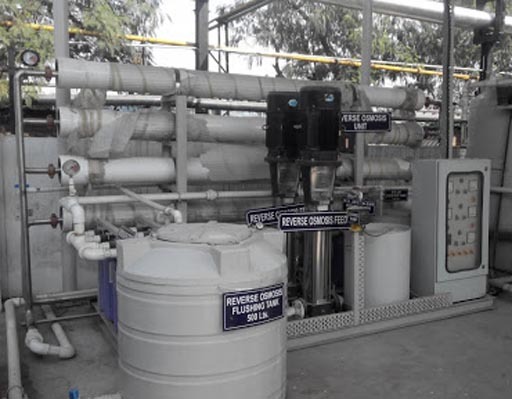 Effluent Treatment Plant or ETP is one type of waste water treatment method which is particularly designed to purify industrial waste water for its reuse and it’s aim is to release safe water to environment from the harmful effect caused by the effluent. Industrial effluents contain various materials, depending on the industry. Some effluents contain oils and grease, and some contain toxic materials (e.g., cyanide). Effluents from food and beverage factories contain degradable organic pollutants. Since industrial waste water contains a diversity of impurities and therefore specific treatment technology called ETP is required. 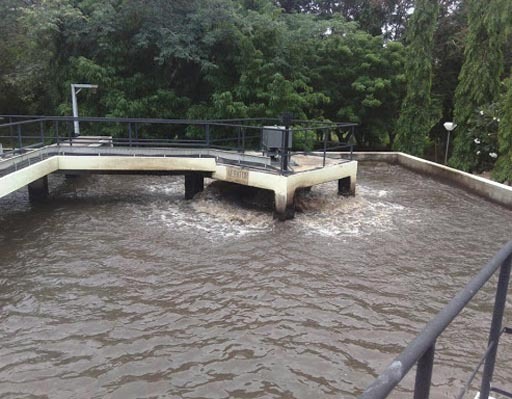 Screening: This is the first unit operation that occurs in waste water treatment plants. A screen is a device with uniform openings and its purpose is to remove large floating solids. Sedimentation: It is a physical water treatment process using gravity to remove suspended solids from water. Grit Chamber: The wastewater that moves into the grit chamber removes the dense inorganic solids such as gravel, metal fragments and sand which have made their way into the sewers. Removal of grit can prevent damaging of pumps & operational difficulties. Clarifiers: These are tanks built with mechanical means for continuous removal of solids being deposited by sedimentation before biological treatment. Flocculation: Flocculation is a physical process and does not involve the neutralization of charge. It involves the addition of destabilized particles together into large aggregates so that they can be easily separated from the water. Coagulation: is a process in which coagulants are added for the purpose of rapid settlement of minute solid particles in a liquid into larger mass. It permits particle removal by sedimentation and for filtration. 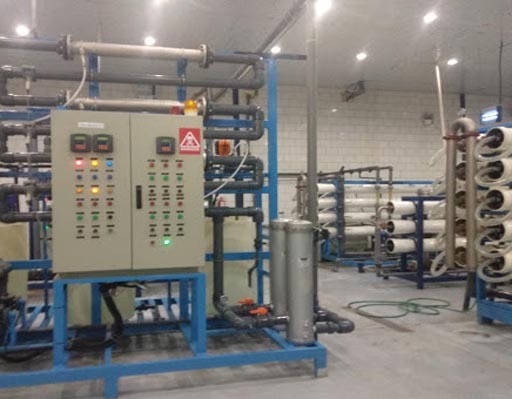 Neutralization: The main purpose of this process helps in maintaining the pH range of 6-9 to meet the requirements of different processing units in ETP system. 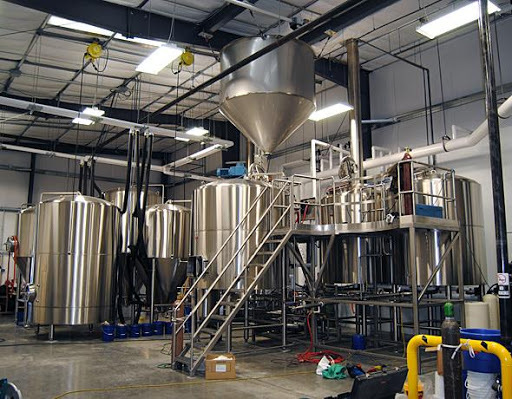 Primary Clarifiers: These are used to slow the velocity of the water to a point where organic solids will settle to the bottom of the tank and it contain an equipment that is used to remove floating solids and greases from the surface. 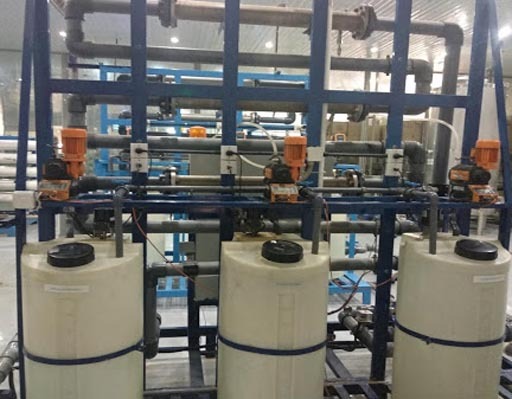 C. Secondary or Biological Treatment: The objective of this treatment is the further treatment of the effluent from primary treatment to remove the suspended solids and residual organics. In this step biological and chemical processes are involved. Activated Sludge Process: This is used for treating industrial wastewater using an air and a biological flock composed of bacteria. Aerated Lagoons: Is a treatment pond provided with artificial aeration to promote he biological oxidation of waste water. Trickling Filters: Trickling filters, also known as sprinkling filters, are commonly used for the biological treatment of domestic sewage and industrial waste water. Rotating Biological Contactor: It involves allowing the wastewater to come in contact with a biological medium in order to remove pollutants in the wastewater before discharge of the treated wastewater to the environment. D. Tertiary/advanced/disinfection treatment: The purpose of tertiary treatment is to provide a final treatment stage to raise the effluent quality to the desired level before it is reused, recycled or discharged to the environment.